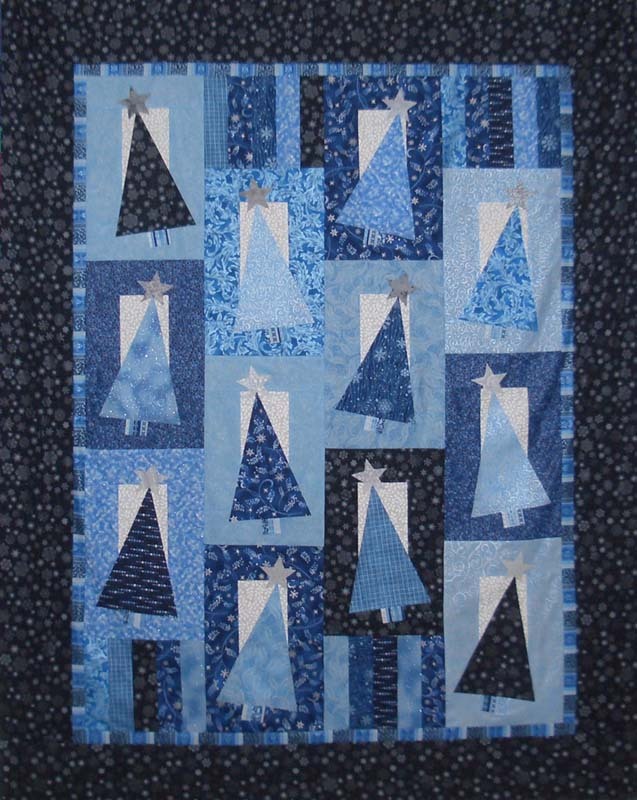 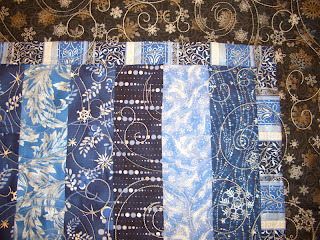 This week I am back to working on Bonnie Hunter's Mystery Quilt from December, Orca Bay. 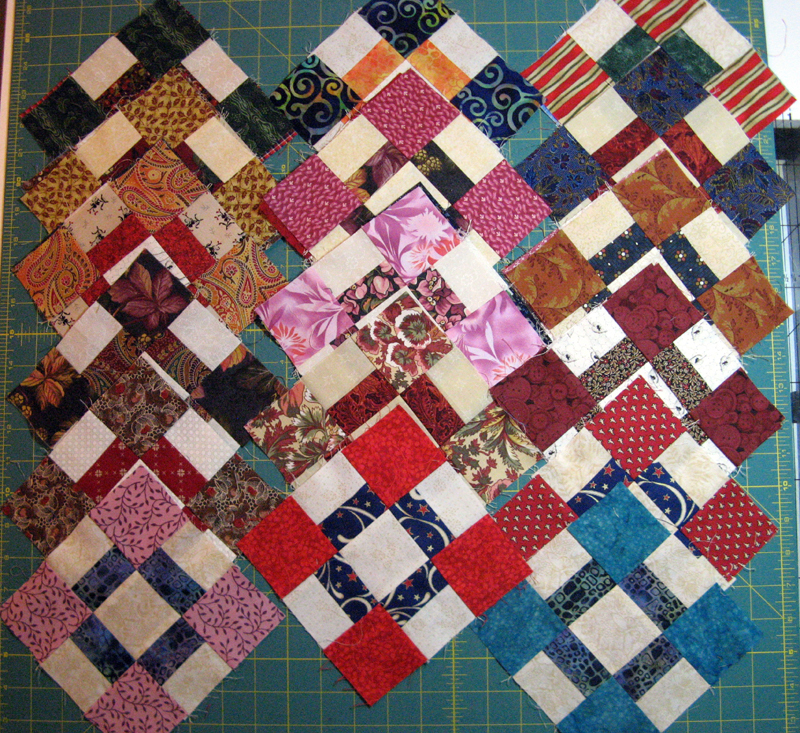 I am finally making progress! 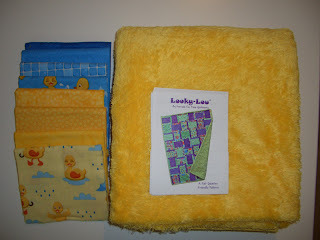 My color choices were purple/green/gold and I used only fabrics from my stash. 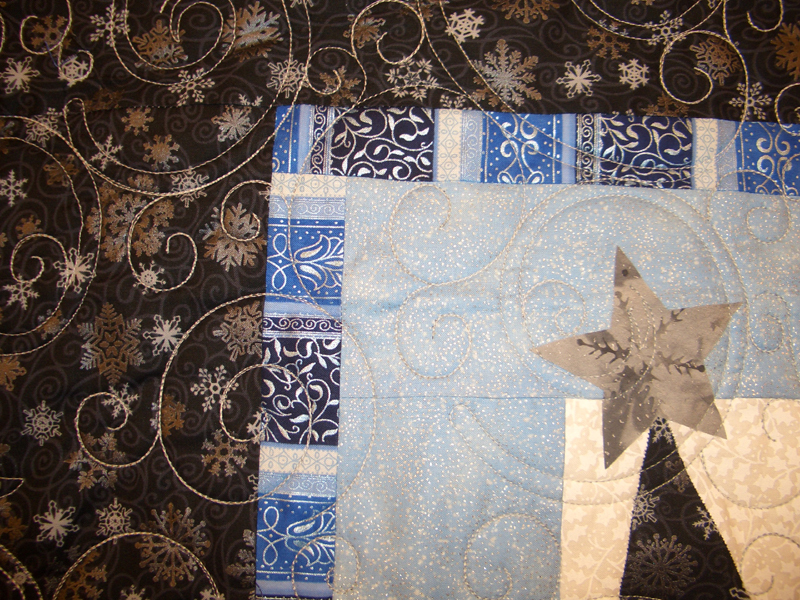 All the string blocks done, the Ohio Stars complete and most of the other components ready to go. 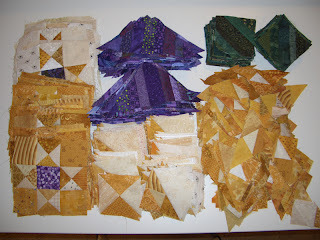 Just have to sew the triangle pieces to the purple strip triangles and then start sewing the rows together. 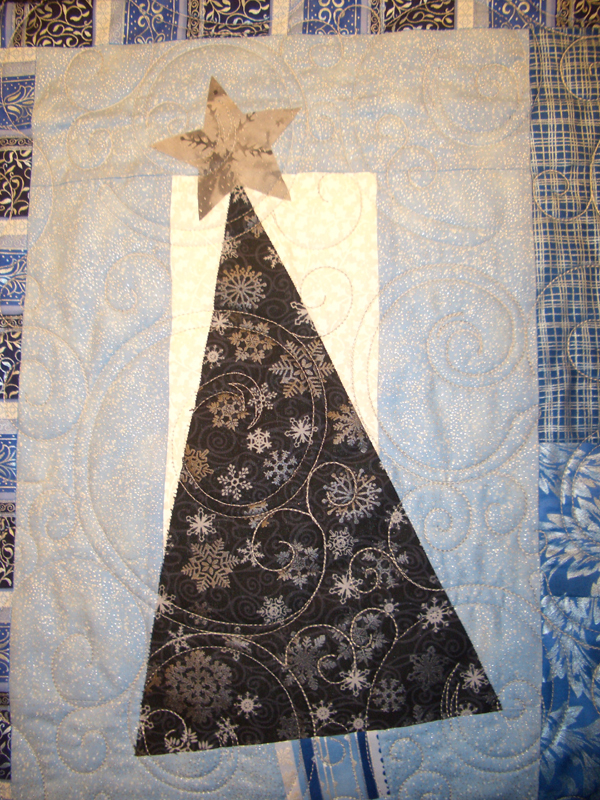 This one has been fun-but a lot of small pieces. Below are all the pieces ready to go. Have a great week and if you need inspiration, check out all the other design walls at Patchwork Times. This week I am happy to report some usage and no additions! 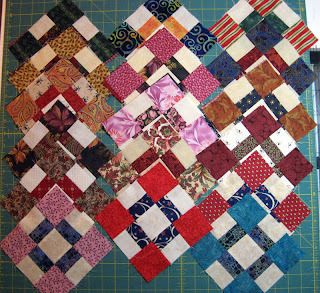 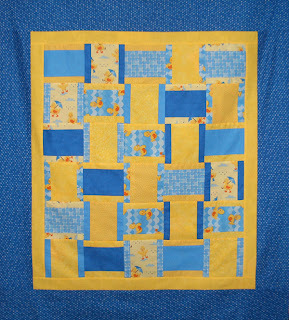 I was also able to complete all the churn dash blocks for a block swap with 15 other quilters. These were fun blocks to make and very addicting. 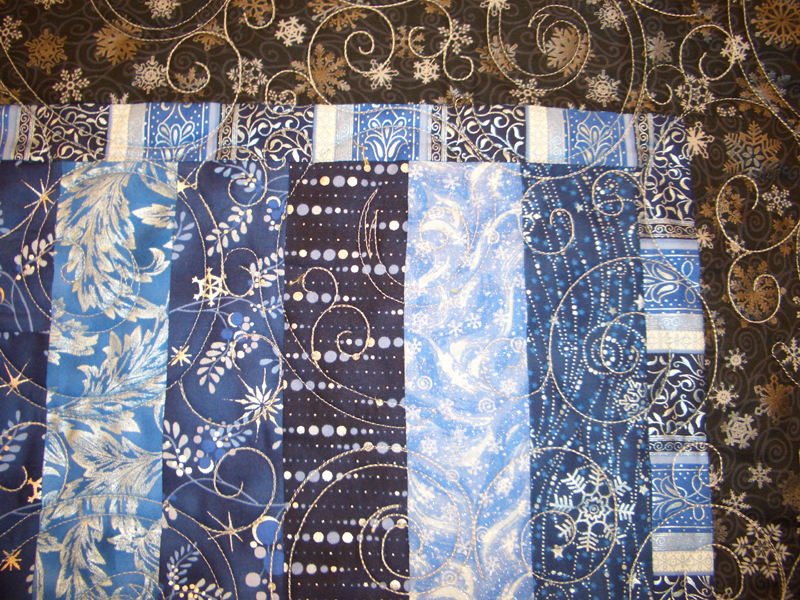 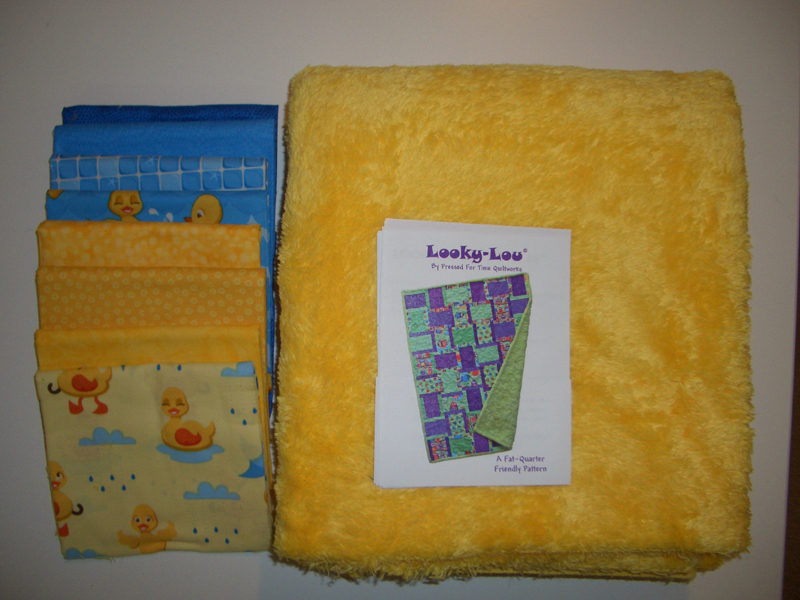 I made the 30 I needed for the sway and will be making another 31 to complete the quilt. This is another free pattern from Bonnie Hunter called Chunky Churn Dash. 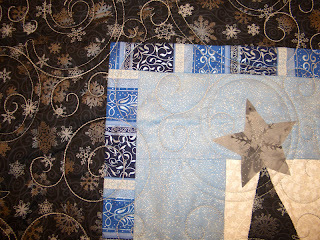 So far, still in the negative- but making progress! 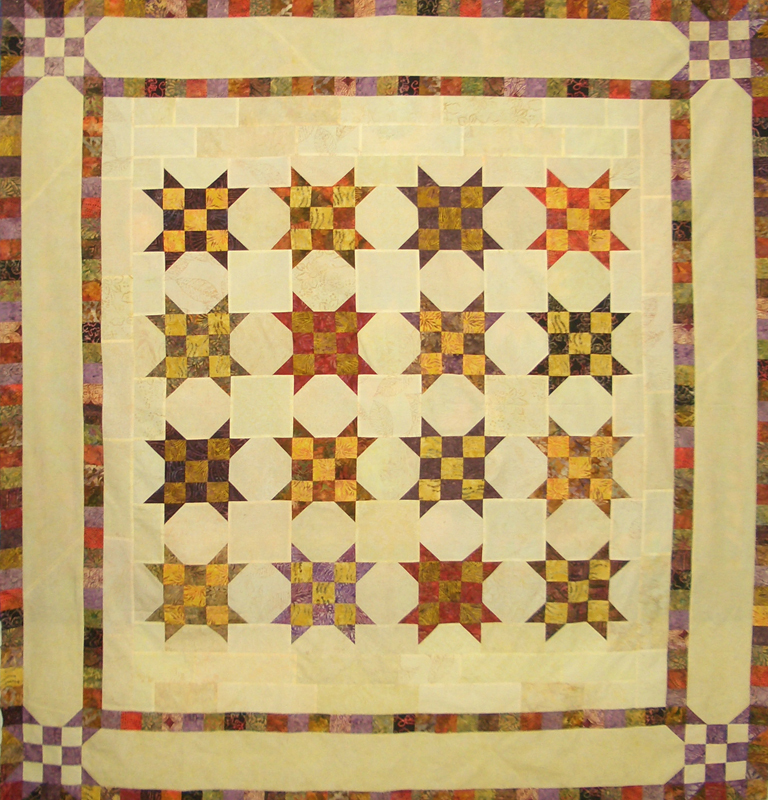 Check out how everyone else is doing at Patchwork Times, and have a great week!